The surrealist icon met with the father of psychoanalysis on 19 July 1938. Salvador Dalí’s first and only encounter with Sigmund Freud was fittingly bizarre. 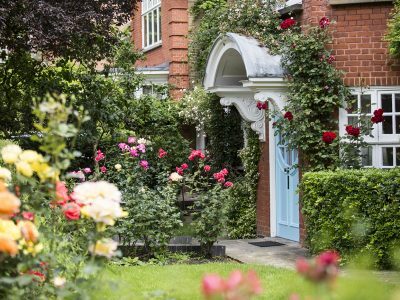 The pair met on 19 July 1938 at Freud’s home in London, where he had arrived just a few weeks earlier as a refugee from Nazi-occupied Vienna. By the time of their meeting, both Freud and Dalí had gained widespread recognition. Freud, by then 81, was widely regarded as an intellectual giant. Dalí was just 34, but had already established himself as a key figure in the surrealist movement. Dalí had been trying to meet Freud for a long time. 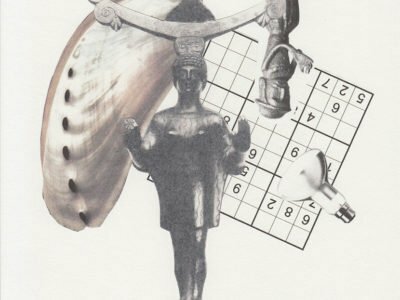 Like many of the surrealists, he revered psychoanalysis for the radical new light it shed on the life of the mind. As a student in Madrid he had immersed himself in Freud’s writings on the unconscious, sexuality and dreams. 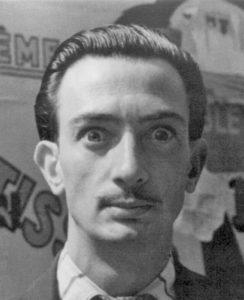 Salvador Dalí in 1934. Detail from a photograph by Man Ray. Dalí yearned to meet Freud. He had already travelled to Vienna several times but failed to make an introduction. Luckily for Dalí, they had a mutual friend in the Austrian author Stefan Zweig, who was also living in exile in London, and arranged the meeting. Our exhibition, Freud, Dalí and the Metamorphosis of Narcissus, is on until 24 February 2019. Freud was suspicious of the surrealists. His artistic tastes were somewhat conservative: he was an admirer of the Old Masters, and had little time for the avant-garde movements that were emerging in his own lifetime. The pair later had a tense exchange when Breton falsely accused Freud of plagiarising parts of his theory of dreams. Because of this, Freud may have been wary of Dalí. Dalí brought with him his latest painting, The Metamorphosis of Narcissus. 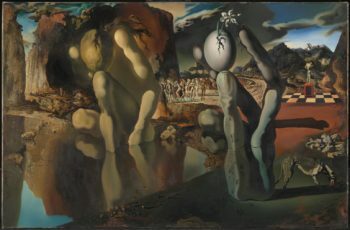 Salvador Dalí, Metamorphosis of Narcissus, 1937. © Salvador Dali, Gala-Salvador Dali Foundation/DACS. The painting is a surreal depiction of the Greek myth of Narcissus, the beautiful hunter who falls in love with his own reflection in a pool. On one half of the canvas, Narcissus is represented gazing into the water. On the other half, the same form is repeated but this time representing the form of Narcissus as a hand clutching a cracked egg, from which a Narcissus flower sprouts. Double images are a key feature of Dalí’s art, especially his method of ‘critical paranoia’, of which this painting is the first complete example. According to Dalí, the meeting was a failure. He hoped his painting would win him Freud’s approval. Freud apparently commented that “in classic paintings I look for the unconscious, but in your paintings I look for the conscious,” which Dalí took to be criticism. Dalí wanted to come across as “a kind of dandy of universal intellectualism,” to be taken seriously by Freud as a fellow researcher. But Freud was more impressed than Dalí feared. I really have reason to thank you for the introduction which brought me yesterday’s visitors. For until then I was inclined to look upon the surrealists – who have apparently chosen me as their patron saint – as absolute (let us say 95 percent, like alcohol), cranks. That young Spaniard, however, with his candid and fanatical eyes, and his undeniable technical mastery, has made me reconsider my opinion. During the meeting, Dalí made a number of sketches of Freud. 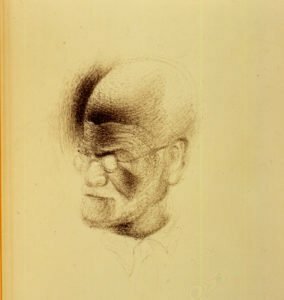 Sketch of Sigmund Freud by Salvador Dalí. He later produced this portrait, apparently hoping to send it as a gift. In Dalí’s memoir, he claims that the inspiration for the portrait came while he was eating snails in a restaurant in France, and noticed a picture of Freud in a newspaper. But Zweig thought the portrait resembled not a snail but a skull, a symbol of Freud’s impending death. Perhaps for that reason, there is no record that the portrait was ever shown to him. 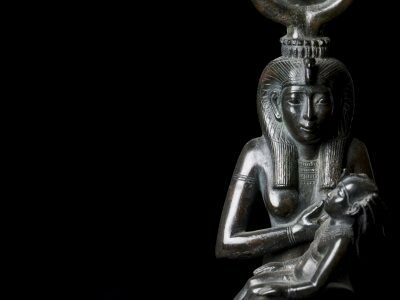 Posted in Education Blog by Stefan Marianski on February 4th, 2019.